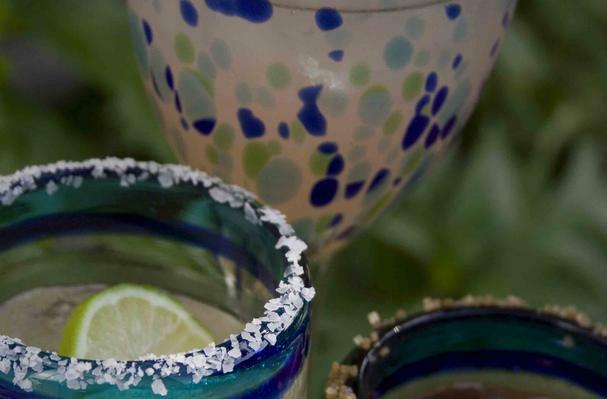 Salt the rim if desired, by rubbing a cut lime on the rim and dipping the rim in a dish of coarse kosher/flaked salt. Depending on what kind of juice you're using, you can also have a little fun and "salt" the rim with something like Turbinado (raw) sugar. Use a shaker or just stir together and serve on the rocks. There's a local Mexican restaurant I go every now and then. The food is not the best, but I have to admit I keep going back for the Margaritas. Their secret? Fresh limes and premium tequila. Put away that boring artificially-flavored and strangely colored mix that you picked up at the store—you know the one I'm talking about. Get yourself a pile of fresh limes, some interesting juices (we favor the ones from Trader Joe's), and some very good tequila. Remember that last one...because bad tequila makes a bad margarita. The Margarita is the most popular tequila-based drink, usually made with tequila, lime or lemon juice, and orange liqueur. Most commonly served "on the rocks" in a salt-rimmed glass but also served blended (not usually at my place). Too much salt often overrides the flavor and aromatic qualities of a good Margarita, so most bartenders and hard-core connoisseurs will skip it. The orange liqueur is most commonly Triple Sec, but Cointreau, Curaçao liqueur ("Blue Margarita") and Grand Marnier ("Cadillac Margarita") are also used, the latter being the most preferable. My husband prefers his margaritas made with lots of tequila, triple sec, and straight lime juice, but those margaritas are a little strong and tart for me. I like to add some good quality juice (like the ones below from TJ's) or "simple syrup" (a few Tbsp water mixed with Organic Agave Nectar, also available at TJ's) to it.